That is certainly one of the special things about holidays ... the traditional family foods handed down for generations. What a great sounding recipe for any time!! Thanks for stopping by my blog. I love yours and visit daily. It makes me feel cozy! Becky and Leann, thanks for coming by and visiting. I'm enjoying both of your blogs :) Leann, your mum pictures from a week or two ago were amazing! Fields and fields of them! So very nice to meet you. Thank you for visiting my blog and leaving such a sweet comment. I'm looking forward to reading your blog and getting to know you better. What a special recipe and they sound delicious! Thank you for joining in the fun! 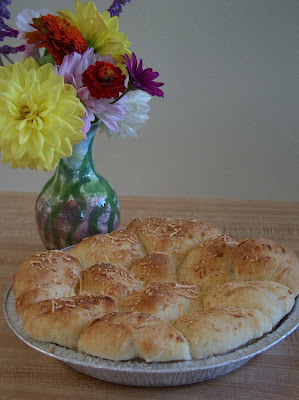 Garlic cheese rolls sound wonderful! I'll have to make them. 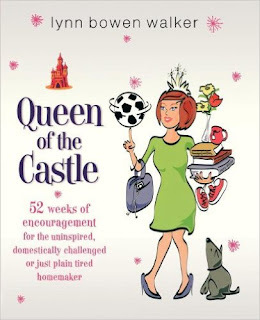 50s Housewife, I'm happy to hear that Queen of the Castle is on your Christmas list :) I hope Santa brings it to you. I love your blog, btw. The flippy calendar hostess gift you posted about recently was such a great idea. I'm on the lookout now for some nifty flippy calendars. Thanks for the great idea. This sounds like another one of the Queen's staples--that's what these recipes become. The fondue is one of them, as well. Thanks for keeping our household happy!